The last few days of my life have been pretty hectic, and I really shouldn't be blogging about them now, but I'm still sleep deprived and I ought to write about it before I forget. 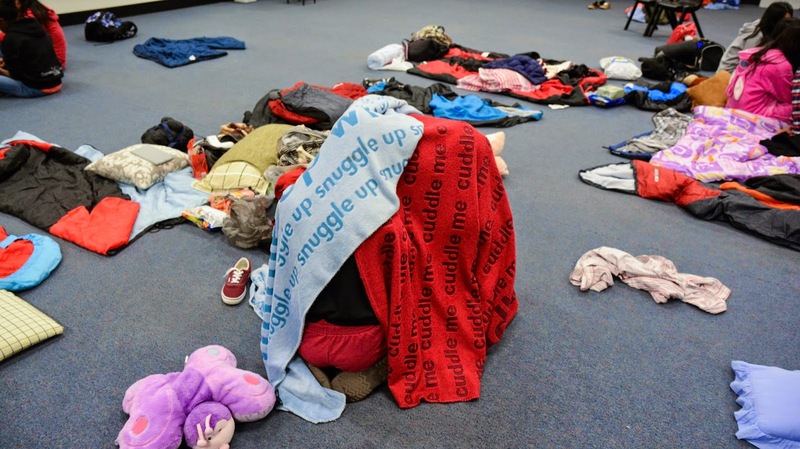 So, on Friday and Saturday we had a school sleepover! It was absolutely amazing and I enjoyed every moment of it. Managed to get even less sleep than I did during the Year 11 one, but it was a multiple of 1.5 so I completely my sleep cycle! (didn't exactly make me feel any less sleep deprived though). Didn't take that many photos, but here are a couple. Taken by my friend LQ. Not sure what they were doing in there but. 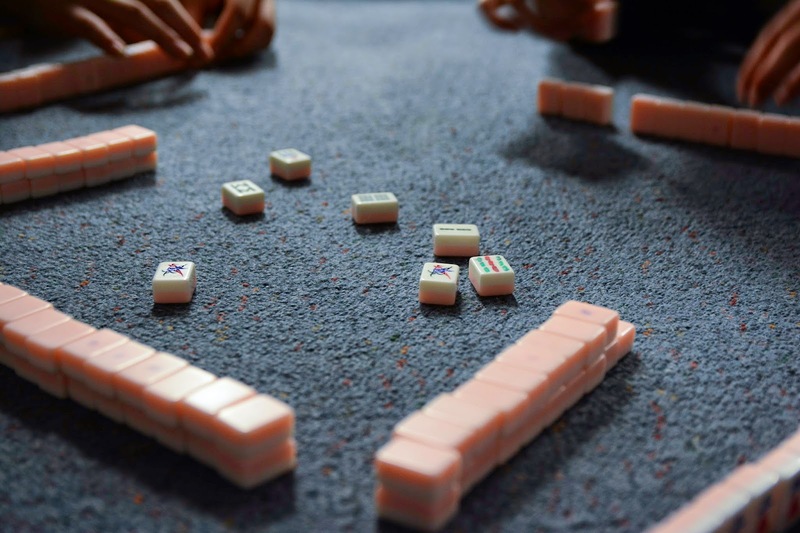 A photo of the mahjong fever that is sweeping the nation (of the Year 12 cohort) because it is insane. I'll admit, even I've played more than a few rounds myself. Even whipped out the canto-tongue during it. It really only hit me on Friday how much I'll miss high school. With 14 days left (as of today), the countdown is really hitting home and I think I'm beginning to really suffer the consequences. I can't help myself thinking "if only I could pause time now. I would be content with living in this moment forever." even though I know it's fruitless. Despite my constant 'I-can't-wait-to-get-out-of-this-place-and-explore-the-big-broad-world' mentality, there's a part of me that's still clinging onto high school, and it makes my heart feel heavy. What a turn of events, eh? I'm sure it's just temporary, but I can officially say that the phase of 'realising it's the last few weeks of high school' has finally reached me and it's making things very difficult. High school is such a sanctuary; it's so safe, everything is worked out. The last 6 years of my life have been this. This is all I've known, and as exciting as letting go will be, we'll always turn around and miss it. At least, I will. Though, I admit, it hasn't exactly 'hit-hit' me yet. I feel like very soon, if not on graduation, it'll actually hit me square in the face and I'll have a momentary break-down. But till then, I'll make the most of the time we have. Then I went to USyd Open Day, and attended the TSP program lecture. Bumped into a LOT of familiar faces. A couple from the Olympiads (didn't get the chance to talk to the math Olympians, because the Science and Math Olympiad groups are sort of separate, but talked to an IChO friend), and also, surprise-surprise, Adam Spencer. I (like to) think that he recognised my mother and I, but we chatted a bit and then took a photo with him. He's a nice bloke. My parents, among many others (including myself), admire him a lot. Anyway, I was blown-away by my friend's TSP project (neurologically related, too!) and got to try it, as well. Eventually, met up with a couple of Uni friends, who showed me around campus, taking me on secret tours everywhere and just getting to enjoy the day. Investigated a bunch of uni options, but still not 100% sure what's going to happen next year, since most of my future rides on my ATAR and whether I'm accepted into medicine. Also bumped into a few primary friends, which was really nice and a very pleasant surprise! It's great to recognise people from your past and just catch up occasionally. Reminds you how small the world can be, sometimes. It was a pretty hectic day, and I apologise if this blog post is a bit below par in terms of photos, etc. It was mostly text/story-telling, and a tangent on my high-school existential crisis, and everybody knows that that's not interesting at all. Next post will be more photo-worthy. I promise.